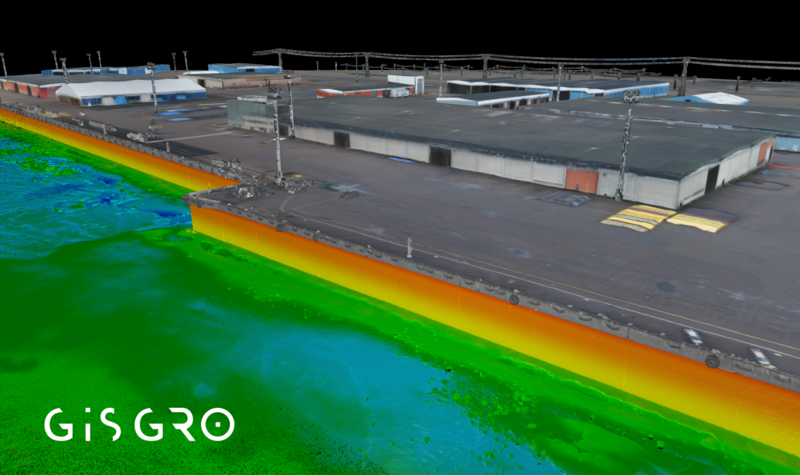 Gisgro is specifically suitable for ports and harbours that are interested in asset management for quay walls, jetties and breakwaters, for example. Groningen Seaports, an early adopter, shared this information on the benefits of the system. Groningen Seaport’s vision is to be one of the pioneers of digitalisation in the port industry. We were excited to find out about the opportunity to become a pilot partner in Qinsy and Gisgro integration and it was a natural decision for us to hop in. For efficient operations and management of the port it is crucial that internal processes are largely automated, and the data is easily available in one place. We use Qinsy daily in acquiring and processing seabed data. Gisgro provides us an opportunity to gather the collected asset data into one online platform, analyse the data and to further utilise it to support proactive asset integrity management. The integration of QPS Qinsy and Gisgro will unleash the full power of 3D data and we are excited to see how much value it will provide to our asset integrity management.